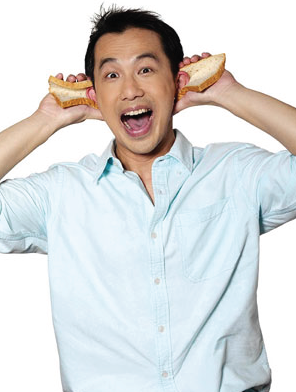 In 1995, Sean joined Australian Broadcasting Corporation (ABC) as a radio broadcaster to present an Australian Pop Music program in Cantonese. It was broadcasted via the ABC’s international short-wave and satellite service to Asia, as well as on a number of FM radio stations in China. Thereafter, Sean was attached to 2ac Sydney Australian Chinese Radio as a Radio Disc Jockey. During his tenure, Sean had produced and presented programs that cover current affairs, entertainment and music on an average of twenty hours per week in Cantonese. Because of his fluency in various languages, Sean was also the master of ceremony for several events such as annual dinner, charity shows and festive events. In 1999, Sean was offered to host an entertainment program that was aired in ntv7, named e-access. It was a Cantonese magazine-like program featuring the hottest news in both local and foreign entertainment industry. Following, Sean has also decided to wear a different hat as a full time lecturer in Mass Communication Theory/ Radio Journalism in LimKokWing University College of Creative Technology (LUCT). He was then invited to join the Radio Rediffusion Sdn Bhd force as a part-time Radio DJ, presenting radio shows over FM 98.8, spinning Chinese and English pop songs and oldies. Meanwhile, Sean also doubled as columnist for Fresh magazine (2000-2002). From 2002 to 2004, Sean joined NTV 7 again to host e-space, an entertainment program featuring the hottest news in both local and foreign entertainment industry. Sean is also the Group Brand Manager for Wafm 976 (a Chinese radio station), and is responsible for planning and implementation of marketing and programming strategies to bring the radio station to greater heights. With over 19 years of experience in various arenas, Sean Lee has had an enviable mix of experience and knowledge of a wide variety of sectors. As an accomplished TV host, columnist, lecturer, DJ, TV host, MC and voice over artist, Sean Lee is surely a living proof that following dreams pays off – as long as one keep an open mind and willing to work hard.